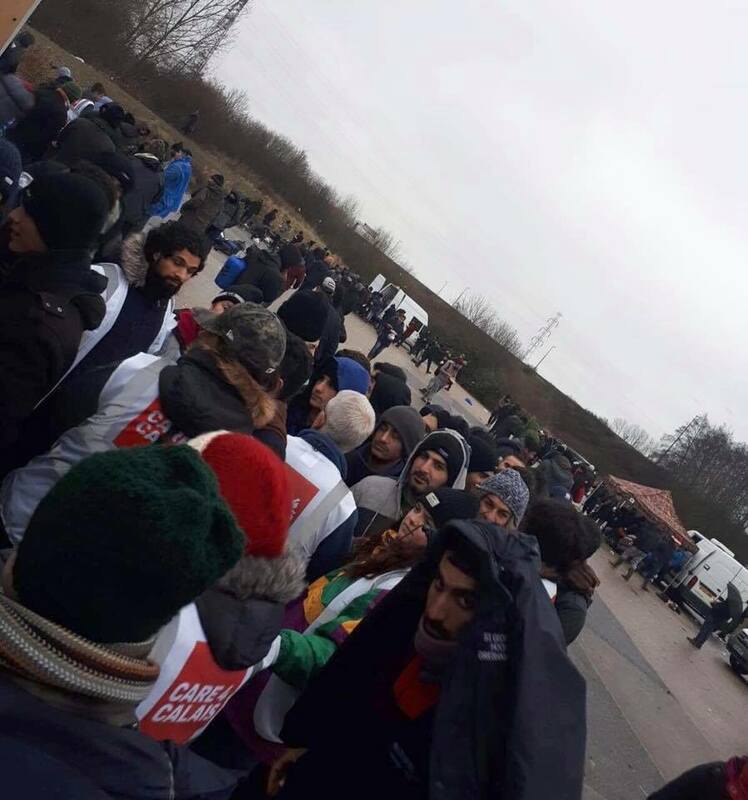 This week we distributed over 450 winter coats in Calais and Dunkirk. Massive thanks to the many incredible donors who have made this possible. We wish you could see the difference this creates. As many line up, shivering but waiting patiently, they are desperate to receive a coat. Some are wearing only a torn jacket or jumper in this terrible weather. We feel greatly privileged to see them walk away feeling warmer, and some feeling more fashionable too. This makes a difference also, but in another way. Many faces we see regularly like Idris. I have seen him in the same outfit for weeks now, receiving a coat gives him warmth and a reason to smile. This moment makes my day. Here in Northern France temperatures are fluctuating and gusty winds and heavy rain are making this winter hard to face for the refugees. Many people are without basic shelter, so any layer of warmth makes a massive difference at this time.